In a Nutshell: Several studies on the effects of gender diversity on boards of directors returned results that were too wide-ranging to be conclusive. But recent research by Ann Owen, Professor of Economics at Hamilton College, and Judit Temesvary a senior economist at the Federal Reserve Board of Governors, attempts to reconcile previous other findings by using alternative research methods. Their research paper found that the impact of increasing gender diversity on a board of directors is dependent upon the number of women already on the board and the bank’s level of capitalization. The study is the first of its kind to provide evidence showing that well-capitalized institutions are better able to reap the benefits of diverse perspectives on their boards. For decades, banks and similar financial service providers have lagged behind other industries in terms of the gender diversity of their executives and boards of directors. The effects of greater female participation on boards of directors with respect to the success of the institutions they lead varied widely, according to early research. Some studies found improved financial performance while others claimed negative or no impact. Ann Owen is the Henry Platt Bristol Professor of Economics at Hamilton College. But Ann Owen, a Professor of Economics at Hamilton College, used different research methods in a study she co-authored with Judit Temesvary. 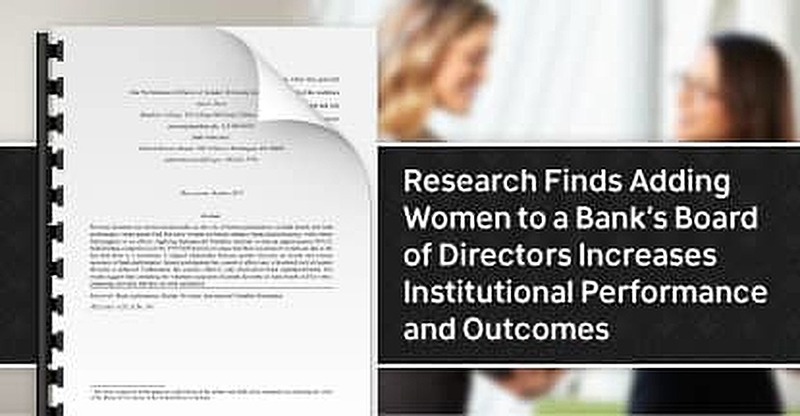 The research paper focuses on efficiency and profitability at 90 US bank holding companies from 1999 to 2015 and found that the impact of increasing gender diversity on the board of directors is context dependent. Owen and Temesvary applied the instrumental variables method to the data, which estimates causal relationships when controlled experiments cannot be conducted. 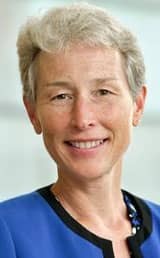 “Instrumental variables is a statistical technique that allows us to claim that the direction of causation goes from gender diversity to the return on assets,” Owen said. The study found that well-managed banks don’t reap the benefits of gender diversity until the share of women on their boards reaches around 17%. Recently, banks have seen an improvement in gender diversity, with the number of women CEOs increasing from 2.1% in 2014 to 6.3% in 2017. The authors’ findings suggest the continued voluntary expansion of gender diversity in banks is likely to bring overall performance benefits, including a higher return on assets. Perhaps Owen and Temesvary’s most concrete conclusion showed the biggest return banks gain from gender diversity is achieved once a threshold of female participation is reached. While the study put that participation number around 17% of board membership, Owen said that, when considering the size of most boards, the number of women needed to cause change isn’t very large. Owen said one of the largest hurdles in conducting the research was determining the cause-and-effect of board makeup on things like return on assets. Owen noted that increased diversity on a bank’s board is not a quick fix and does have potential pitfalls along the way. Owen said well-managed banks are better prepared to mitigate the cost factor and reap the benefits of gender diversity based on a stronger corporate structure and support system. “The benefit is that you’ll get a more diverse perspective in the room in order to improve decision-making and the advice the board of directors gives to management,” Owen said. Owen and Temesvary’s findings attempt to reconcile the results of previous researchers whose studies show a wide range of potential impacts, both negative and positive, on gender diversity on bank boards. By taking a larger dataset and using alternative research methods, they were able to show the positive correlation between diversity and improved performance when more than one woman is present on a board and the bank is well-managed.